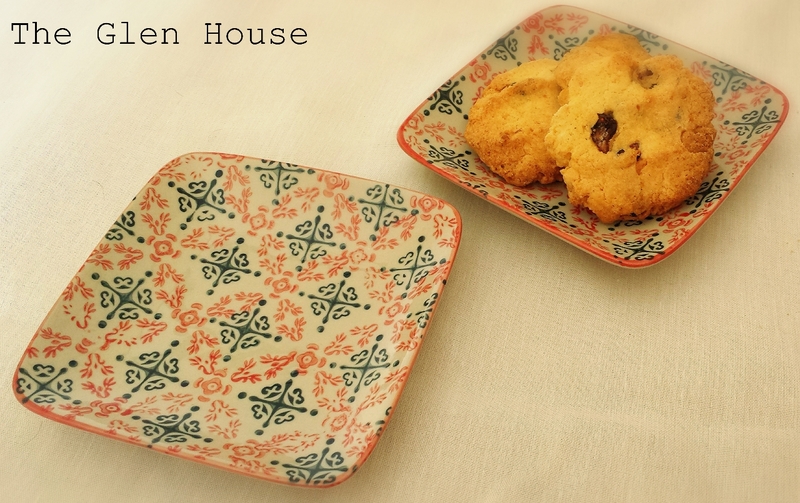 This month I’m sharing my baking and sugar craft kitchen! I can’t explain just how proud I am of the pieces in this month’s post. I always thought that I was heavy handed and impatient, but I’ve proved myself wrong! …Sits my new friend Bertie, who is made of modelling and sugar paste. 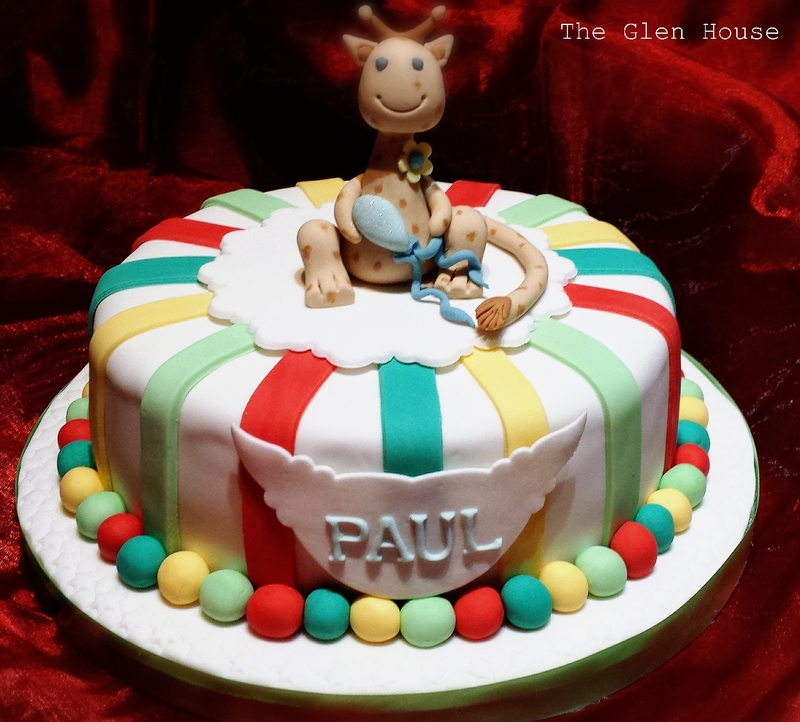 He sits on a chocolate biscuit cake that I decorated. 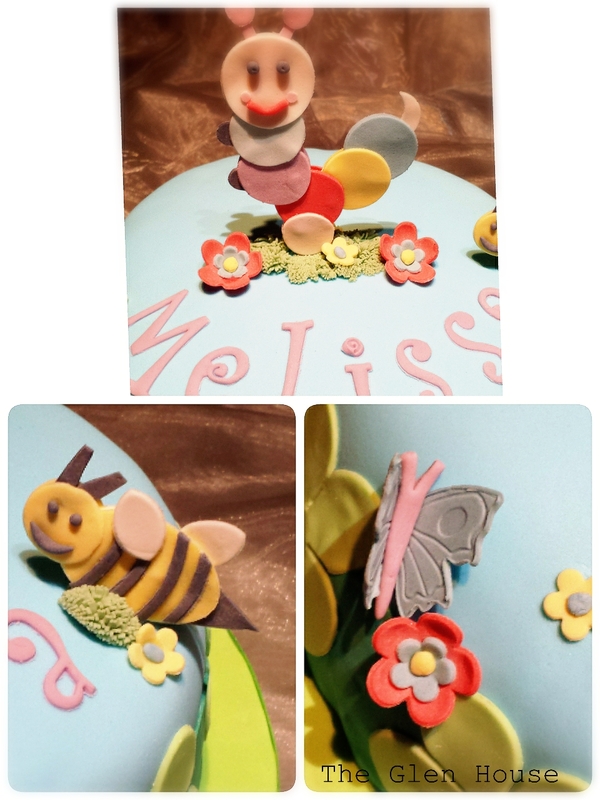 I attended a sugar craft course at Baking Academy Ireland and was taught amazing skills by a brilliant teacher. 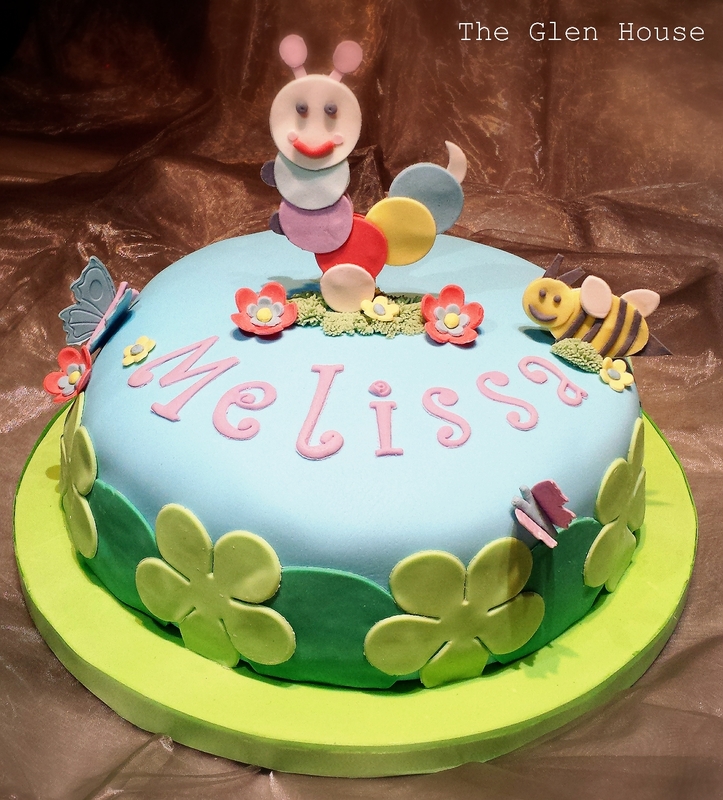 …Lives a caterpillar, bee and some butterflies! 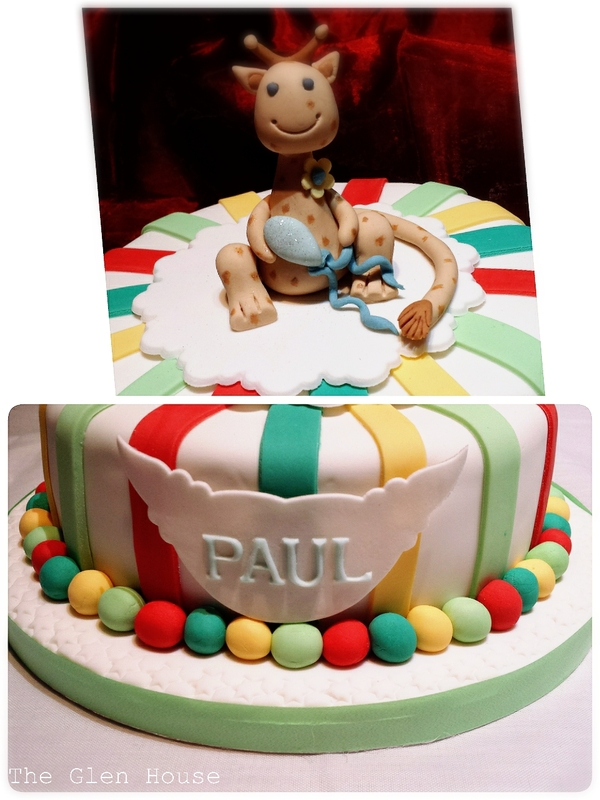 This fruit cake is covered in almond paste and icing. I was so nervous placing and then glueing my name down onto the cake. 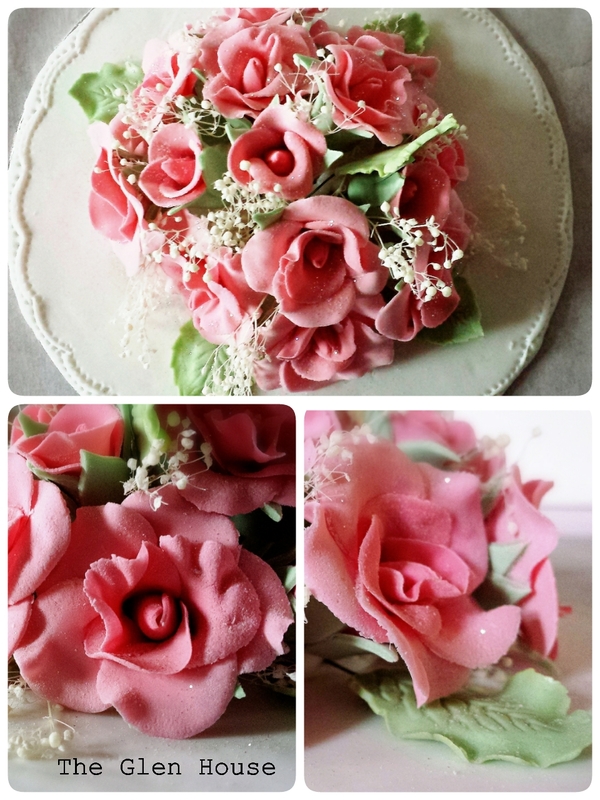 …Sits this flower paste rose spray! I thought it looked a bit old fashion, but the more I look at it, the more I love it! It was painstakingly made so i’ll be keeping it forever. …Lives the Easter bunny! 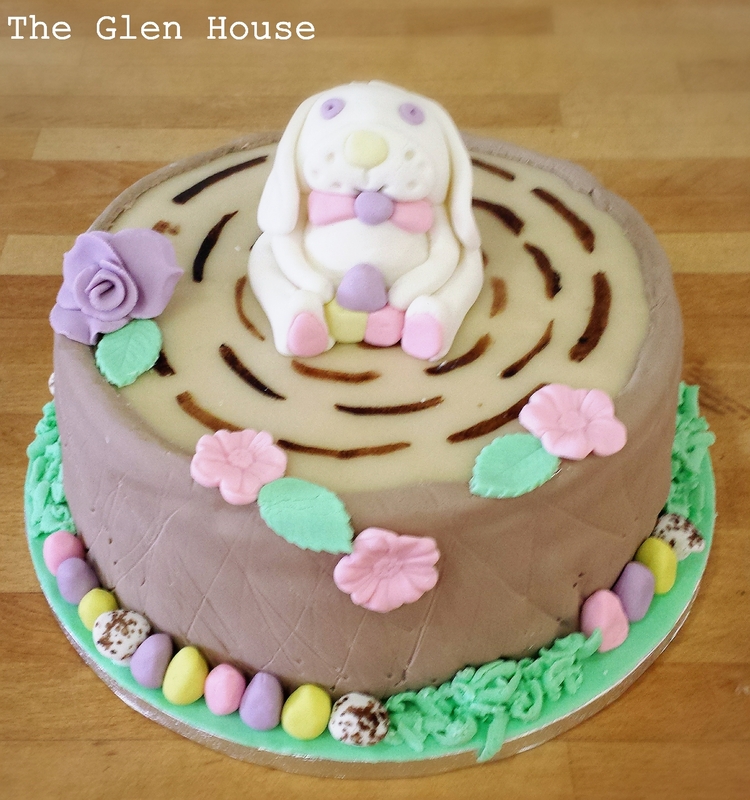 I made this Easter cake at The Cooks Academy in Dublin. 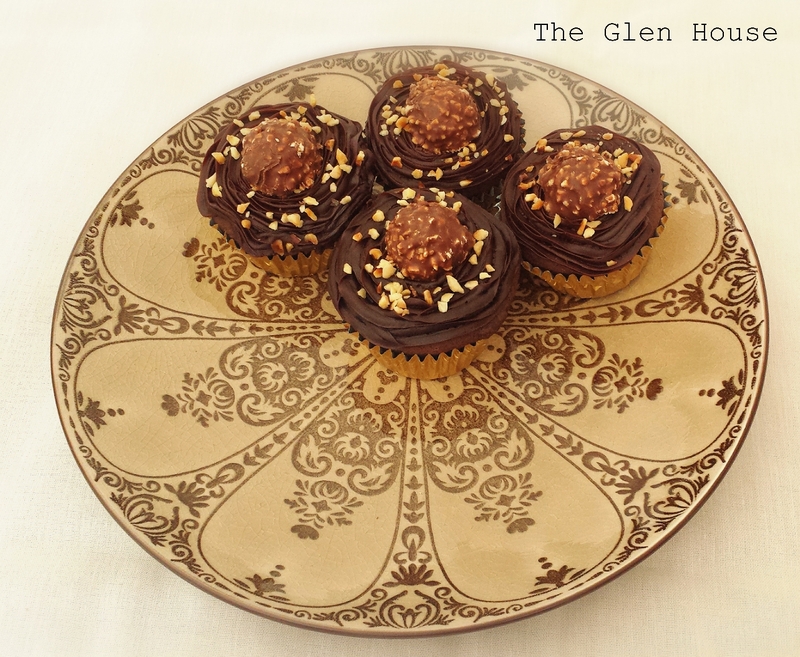 The chocolate madera cake was covered in chocolate butter icing before being iced. 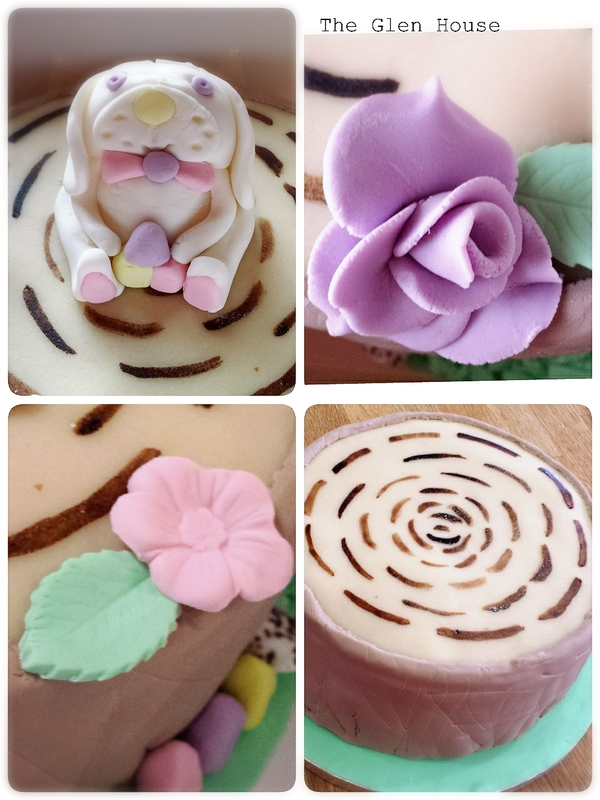 …Lies new sugarcraft cutters! 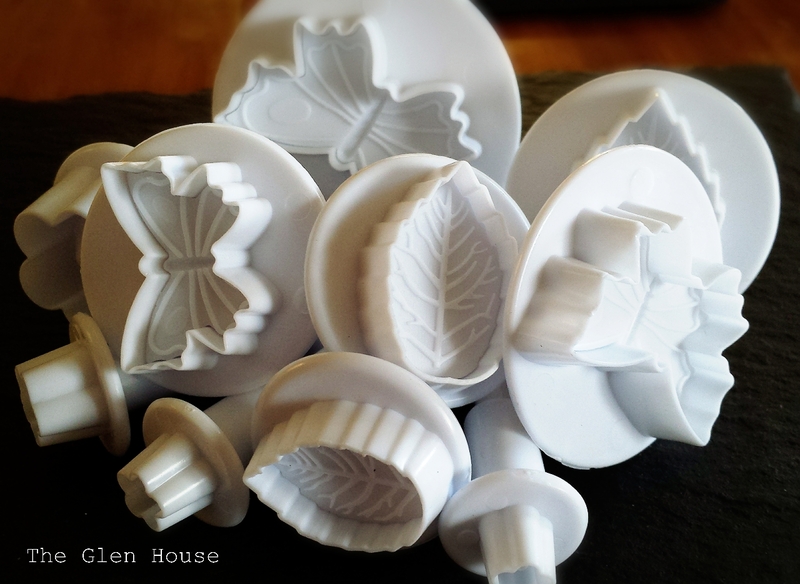 I’m now the proud owner of butterfly, flower and leaf cutters. 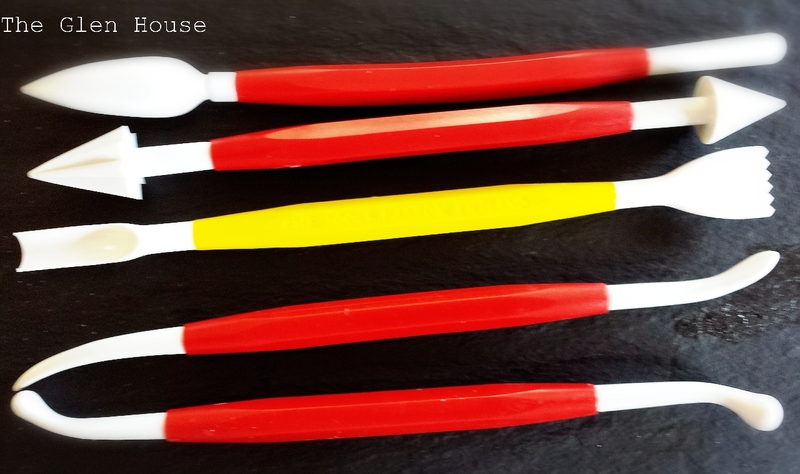 …Sits a couple of modelling tools to help me with my sugarcraft ventures! 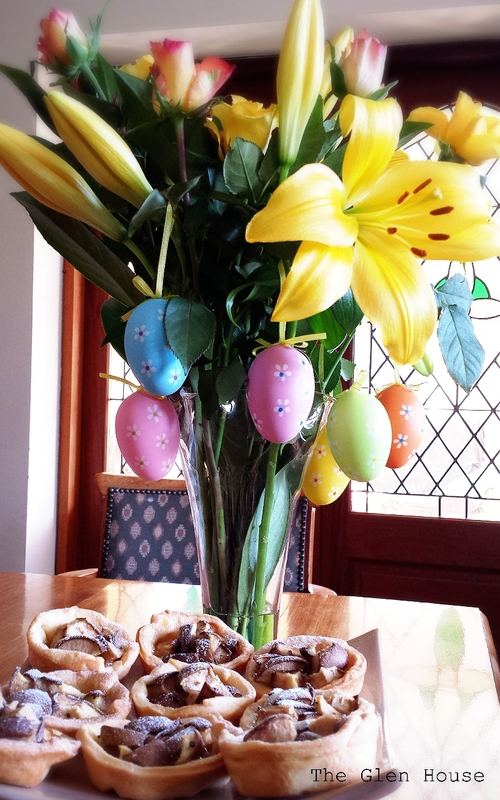 …Are these beautiful Easter flowers from Dr Doolittle (instead of a chocolate egg). Underneath lies a small plate of pear tarts with homemade pear and ginger jam. 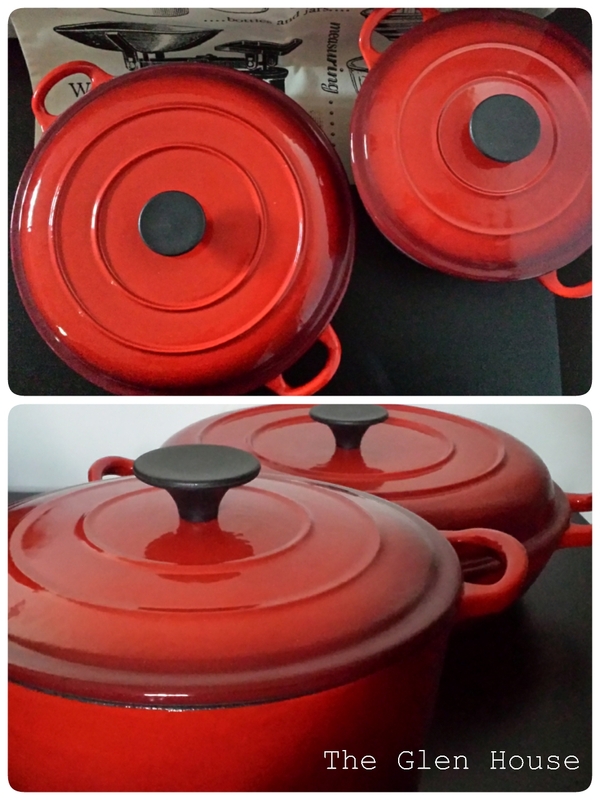 Celia from figjamandlimecordial.com shares all the brilliant In My Kitchen posts from around the world, pop over and take a look. 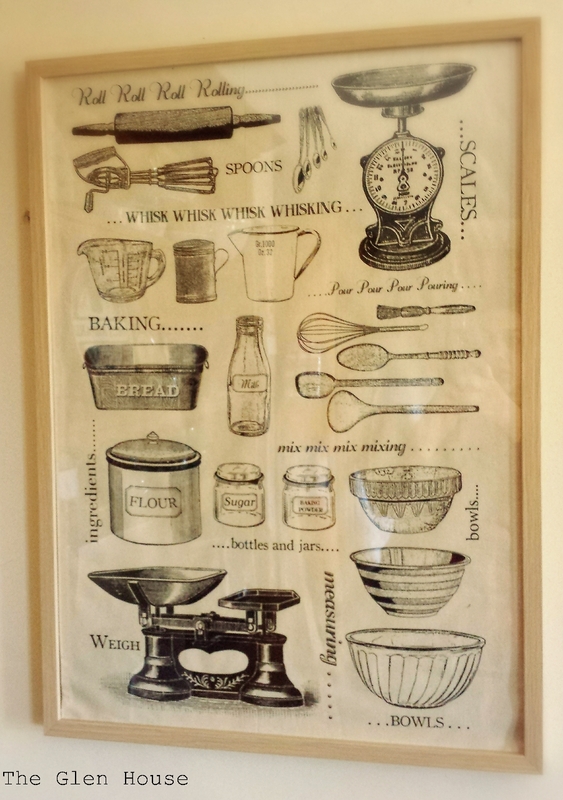 ‘In My Kitchen’ has an Irish feel this month. 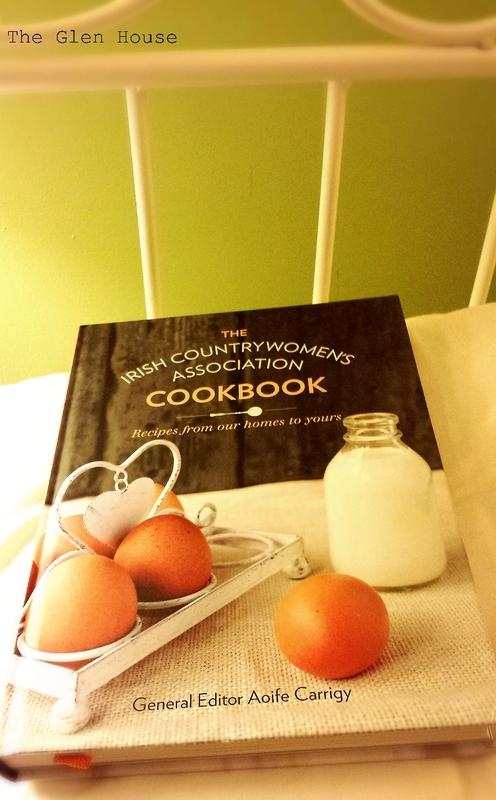 This amazing country that I live in, has a wonderful array of food producers and crafts! 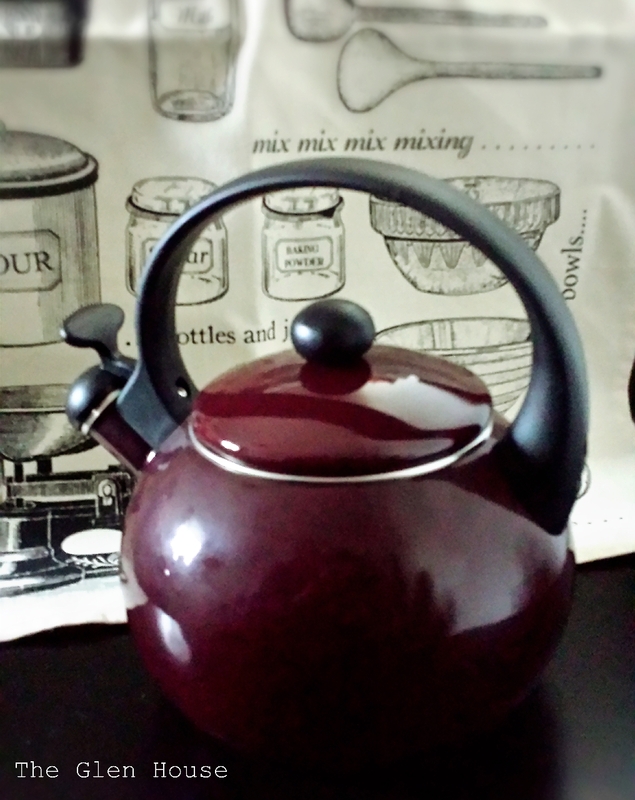 … Stands this beautiful Tara tea set. 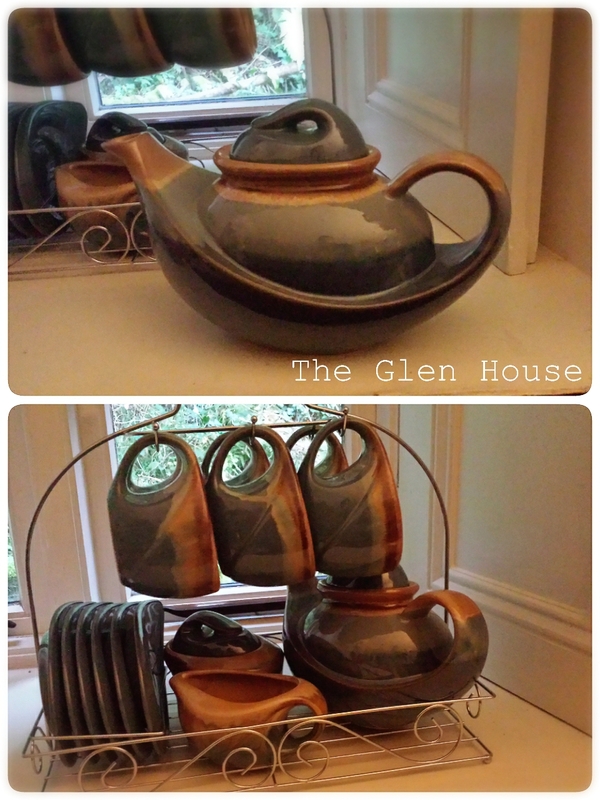 This Irish made birthday present includes a teapot, milk jug, sugar bowl and six teacups. 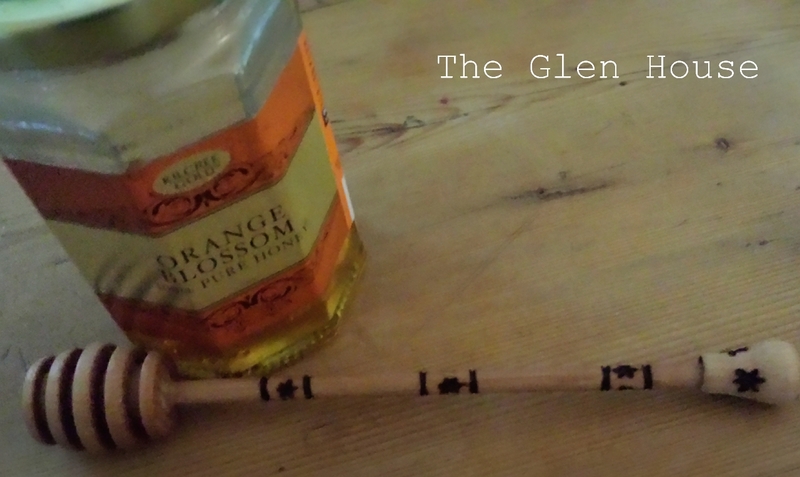 … Are bottles of delicious oils, made around the corner from The Glen House. 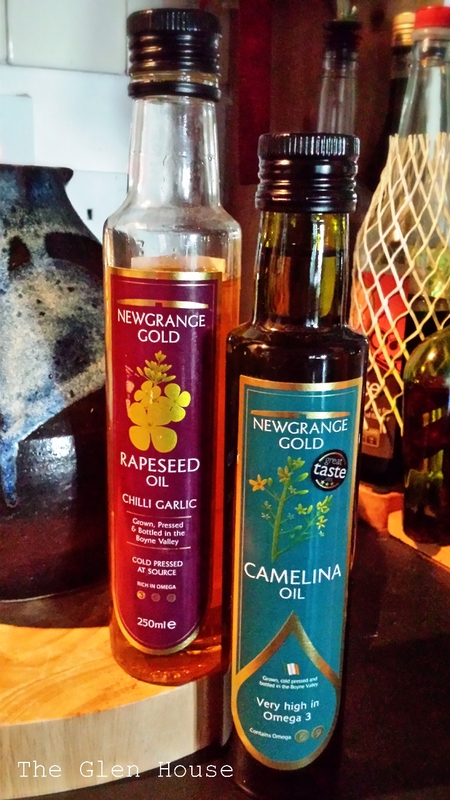 Newgrange Gold Rapeseed and Camelina Oil is grown and produced on a farm in the heart of the Boyne Valley, Co. Meath. 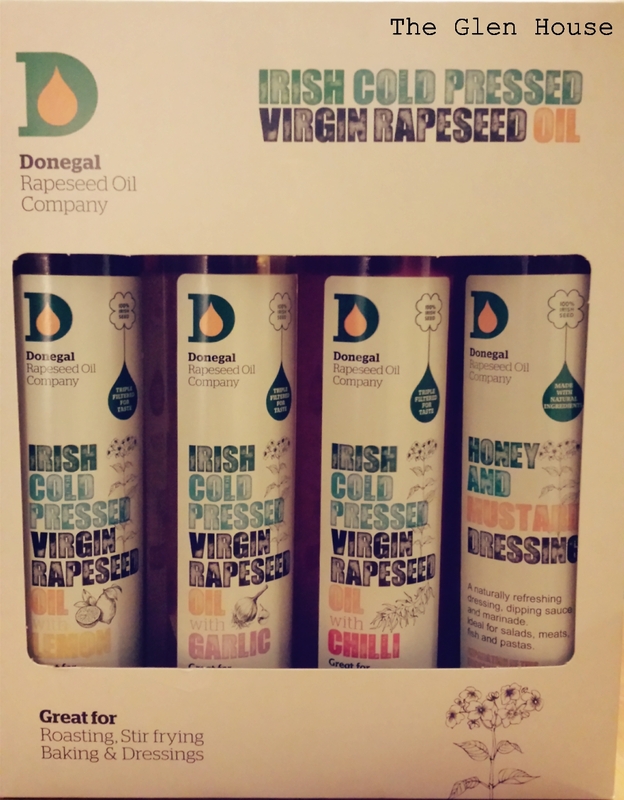 The oil is a delicious “culinary oil with an amazing fruity taste, which is great as an incredibly healthy cooking oil, salad dressing, for frying and other culinary uses such as making home-made mayonnaise and baking”. 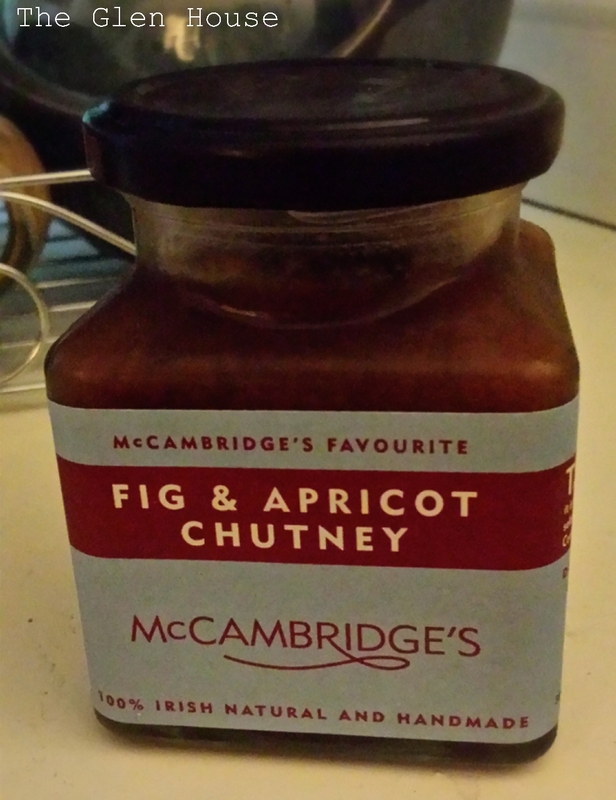 … Is a jar of Fig and Apricot chutney from McCambridges of Galway. 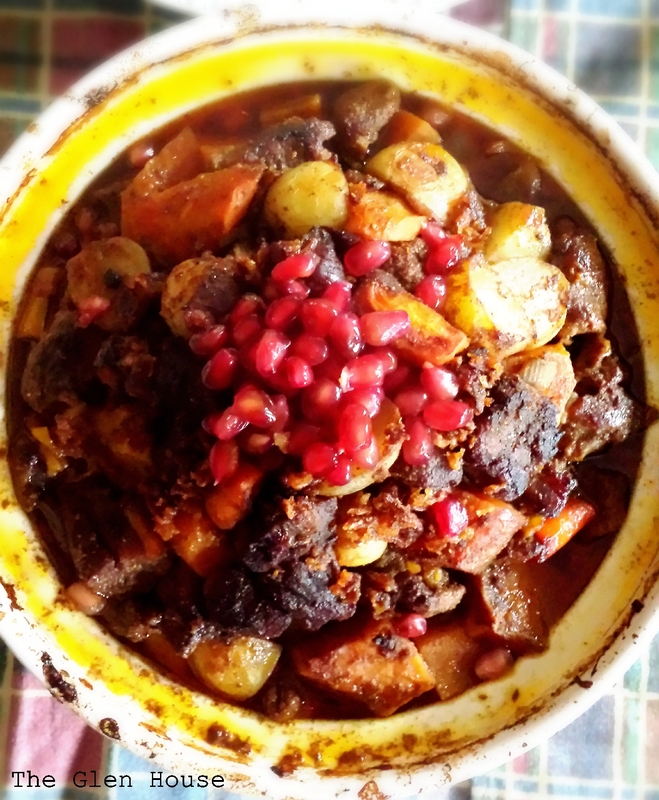 This gorgeous, tasty chutney had been a staple in The Glen House since we moved in. 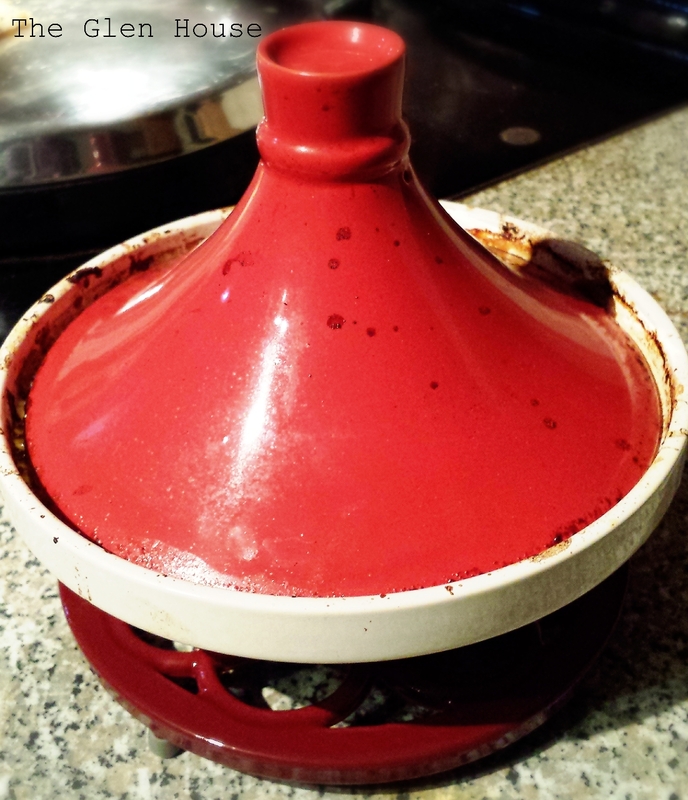 It is great with all sorts and meats, hot and cold as well as cheese and crackers! 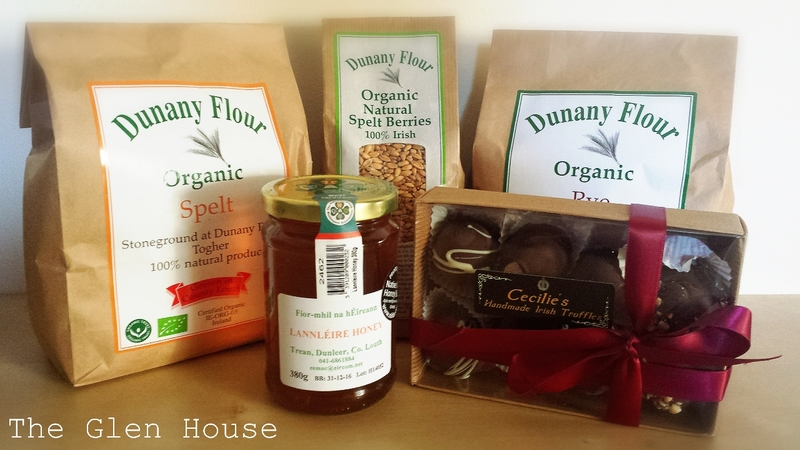 If you ever find yourself in Galway city, you MUST visit this amazing deli/cafe/shop. 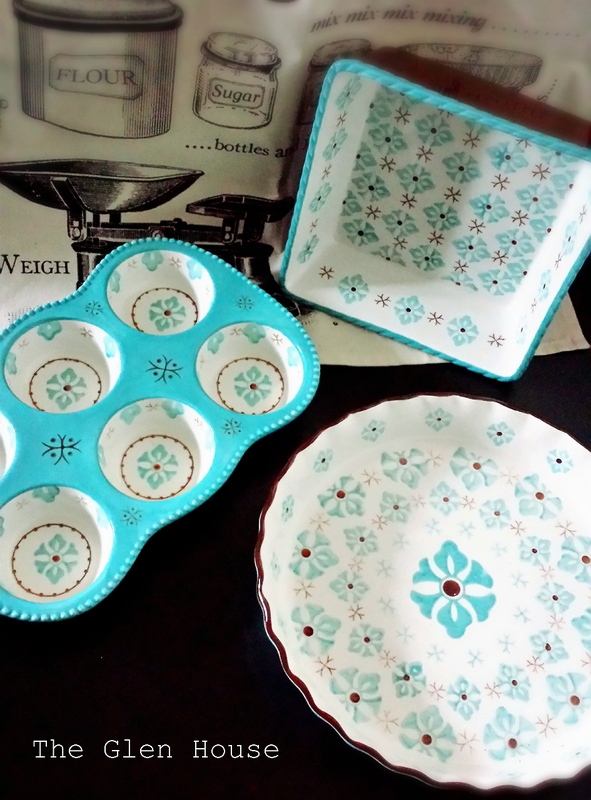 They make yummy brunch as well as stocking great foodie goodies! 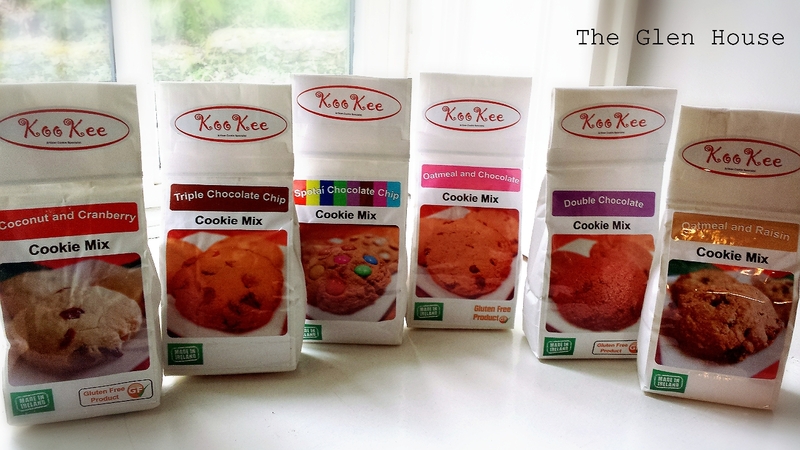 … Are two new jars of goodness! 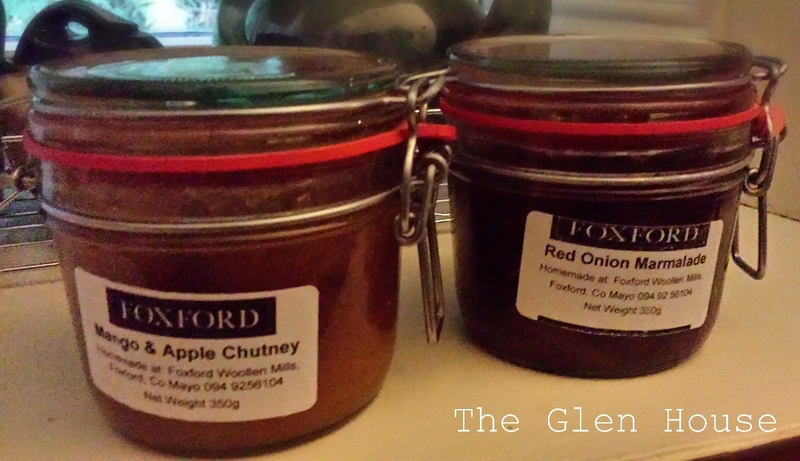 The mango and apple chutney and red onion marmalade came from Foxford Woollen Mills in county Mayo. The mill is famous for blankets and scarfs, but we left after a recent visit with these delights. 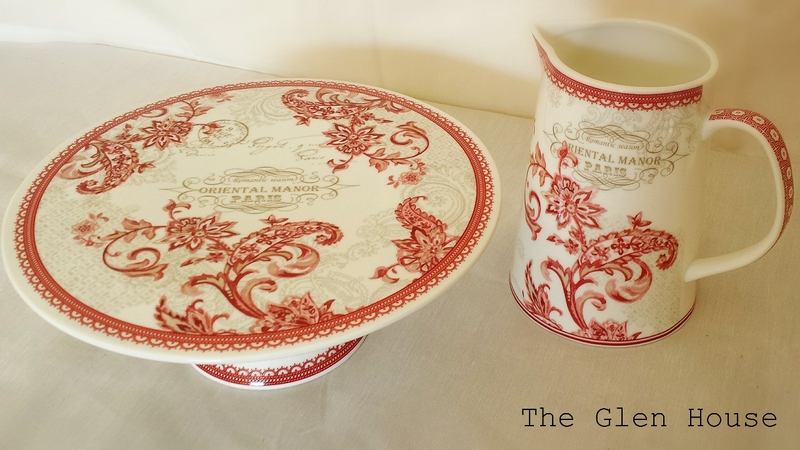 The marmalade is sharp with sour notes and the chutney is slightly spicy and sweet. 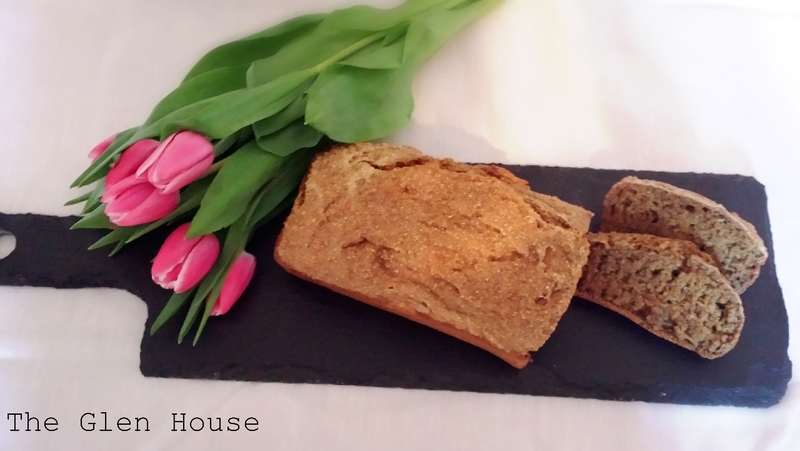 … Sits a little handmade wooden honey dipper. … Are these fantastic jam accessories. 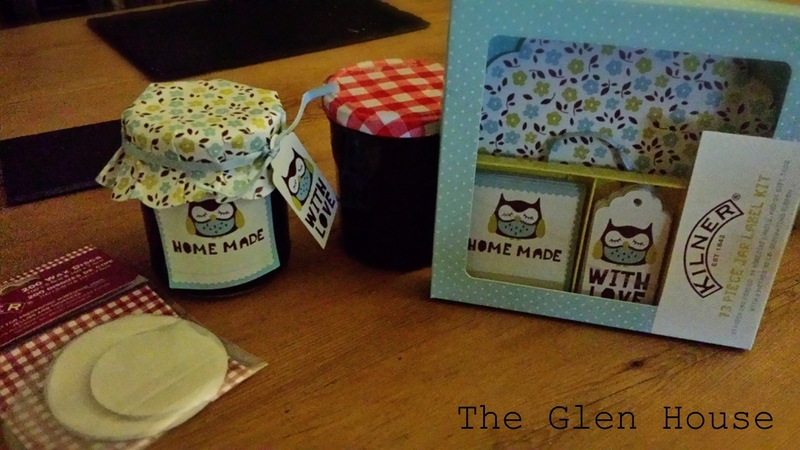 Dr Doolittle has been busy making jams and jellies, so we picked up these cute owl jar accessories from Kilner at Market 57 in Westport in county Mayo. Dr Doolittle recently made crab apple & elderberry jelly…. 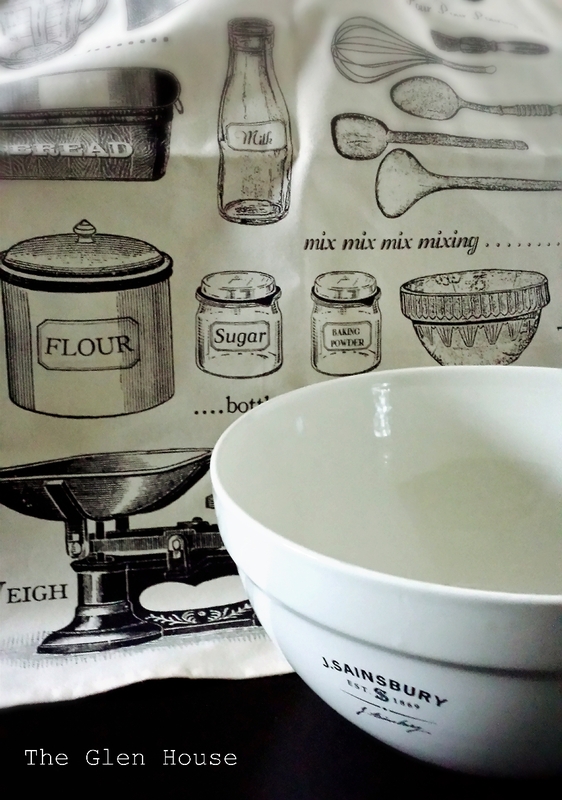 In My Kitchen is a brilliant food series that bloggers from all over the world join in and write about, brought to us by the wonderful Celia from Fig jam and Lime cordial.